Day two of CONvergence Convention turned out to be a goldmine of awesome cosplay, and we've got the proof here. In the mood for appropriately mopey Game of Thrones characters? Done. Need to be creeped on by the captain of The Nimbus? Congratulations, you're Zapp's new paramour. Were you interested in a World War II take on Star Trek? Voila! And happy Independence Day weekend folks, because there's even some patriotic Captain America stuff here. Related: Our day one cosplay gallery. All photos and some commentary by Jamie Bernstein for The Escapist. Follow her on Twitter. 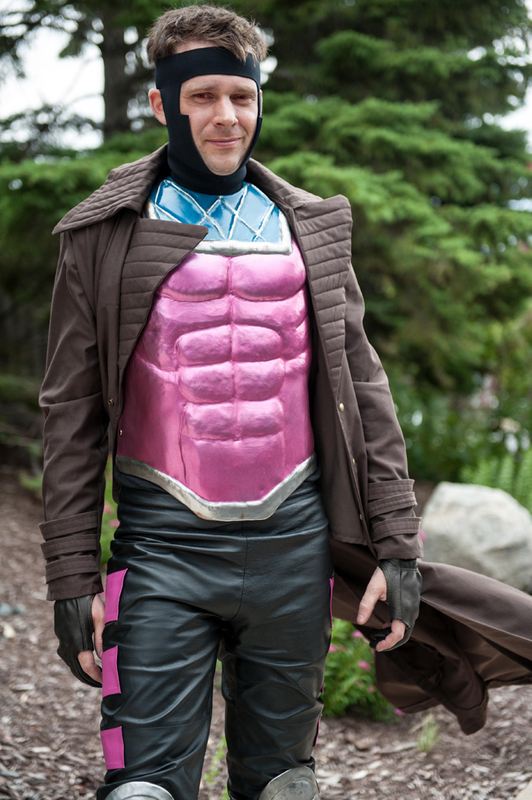 Today we'll start with a rather awesome Gambit from X-Men, portrayed here by cosplayer Ryan Consell. Check out his official site here, and follow him on Twitter.